I’ve written a few times on this blog about the Builford Camera Bag. It’s the first of its kind in the Builford collection. With that in mind, there’s been a lot of discussion among the team and the users on how to make it better. 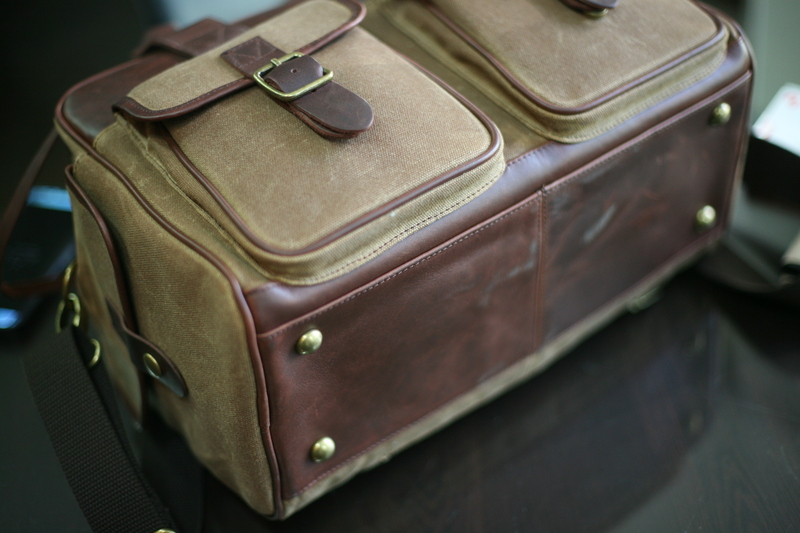 Of course there are other waxed canvas camera bags out there. Perhaps the most famous is ONA, with these messenger style bags. I won’t say that ONA’s bags aren’t great quality, because they are. These are excellent waxed canvas bags. 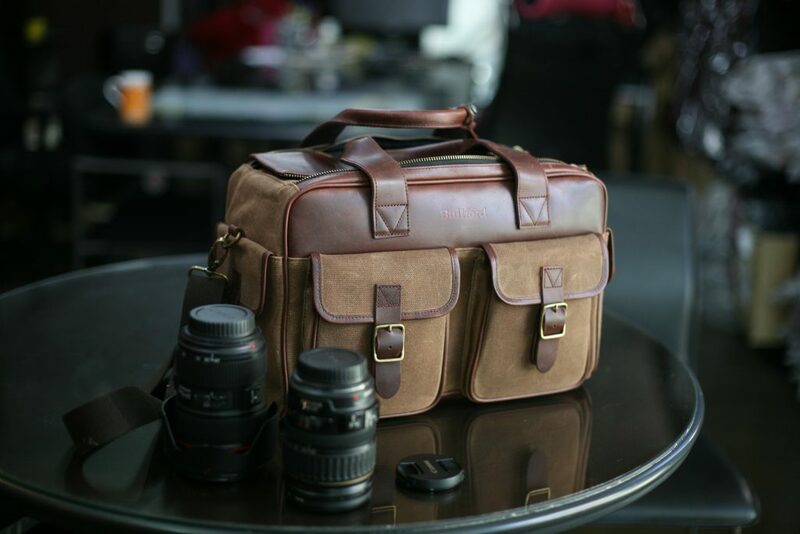 But the Builford camera bag brings its own qualities and advantages. In the most recent post from February, I discussed some of the detail work on the bag. This is one of the reasons the Builford bag stands out. But, you might say, the ONA bag has the same attention to detail. True. But I mean it in a different way. The ONA Bowery bag linked above holds a camera and a lens easily. For many amateur photographers, that’s enough. But the bag can be a bit small for larger projects and lugging equipment on location. The Builford camera bag can hold up to four lenses. The interior padding ensures that the bag keeps its shape and your lenses safe. Even the top zipper’s design helps in that regard. You don’t need to squeeze the top flap shut as you might for a messenger style bag. Here, just put the connecting string, and both parallel zippers close with no hassle. Another great feature of the Builford camera bag is its feet. The waxed canvas is water resistant and the leather treated, but there’s an additional barrier between the ground and your precious equipment. Those little brass feet serve as a buffer. Certainly, waxed canvas camera bags like the ONA Bowery bag are great places to start and for casual photographers. 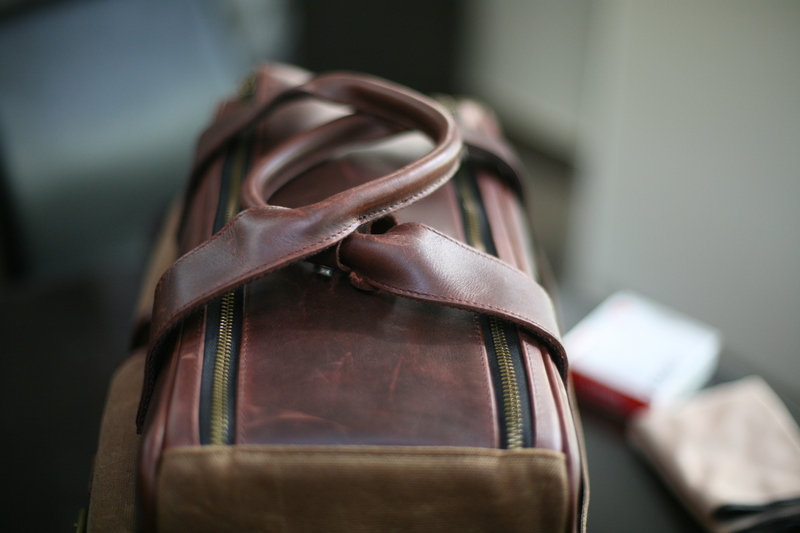 But for longer projects and more serious or traveling photographers, the Builford camera bag is the way to go. You can find out more about the bag, what’s in it, and how to purchase at the Builford website, www.builford.com! Share the post "What Makes the Builford Camera Bag Stand Out"
Posted in Blog and tagged Builford camera bag, Builford waxed canvas, camera bag, ona bag, waxed canvas, waxed canvas bags, waxed canvas camera bag. Bookmark the permalink.